The Sydney Mechanics’ School of Arts is proud to be the home of the Tom Keneally Centre, which holds the research collection of world-renowned author Thomas Keneally, in addition to copies of his own works and some items from his private collection of photographs and memorabilia. The Westfield Group, headed by Frank Lowy, generously funded the construction of the Tom Keneally Centre, while the Sydney Mechanics’ School of Arts has provided the space on level 3, furnishings and staffing on an ongoing basis. 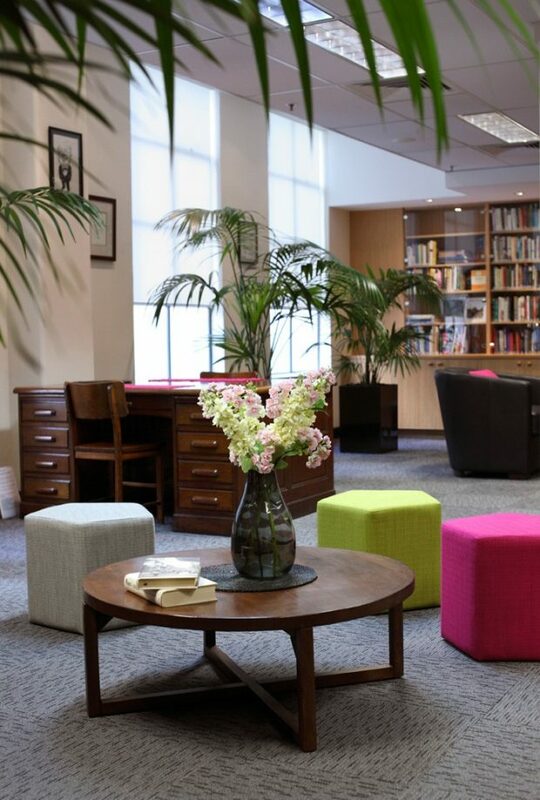 The Tom Keneally Centre’s look and feel reflects, as much as possible, the character of Tom’s original library. It was officially opened on 18 August 2011 by Her Excellency, Professor Marie Bashir, AC, CVO, Governor of New South Wales in August 2011. The Sydney Mechanics’ School of Arts is pleased and privileged to welcome Tom to the Sydney Mechanics’ School of Arts. The Tom Keneally Centre will be of lasting value for the SMSA’s members as well as providing a cultural hub for all Australians who love literature and learning.